For a long time temporary tattoos were for kids. But, in 2011 Tattly made it cool for adults to rock too. 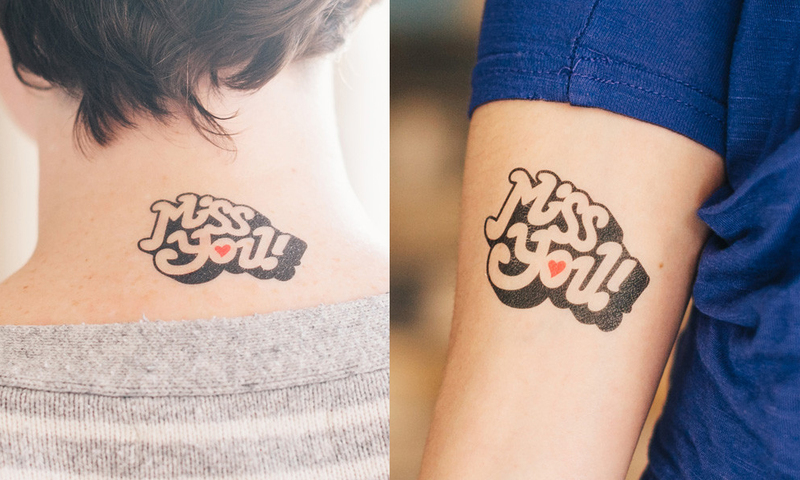 ‘Miss You!’ was my contribution to the wonderful growing portfolio of designs Tattly has to offer. You can purchase it here.